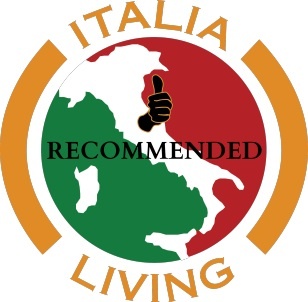 100% Italian – Single Estate – Extra Virgin Olive Oil – Made from olives grown in Italy, pressed in Italy and poured in Italy. 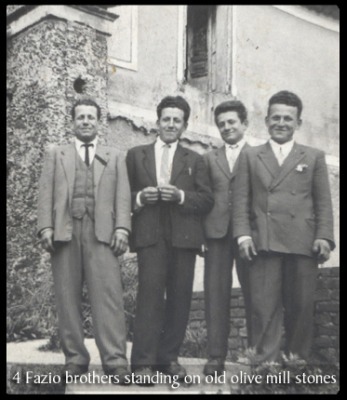 The story began back in 1934, when 4 Fazio brothers began growing olives and making Extra Virgin Olive Oil in the Calabria region of southern Italy – it continued for generations. 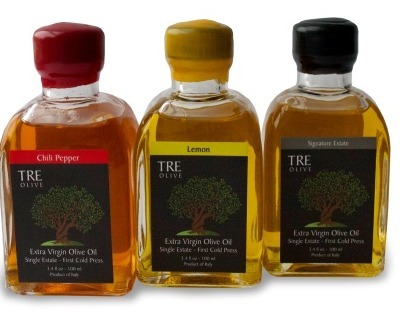 In 2009, during a visit to the family groves, three (TRE) cousins discussed how they could avoid selling their families oil to the large companies who often dilute olive oil with lesser-quality oils from around the world. In mutually wanted to preserve and continue the proud family tradition, TRE OLIVE was born. 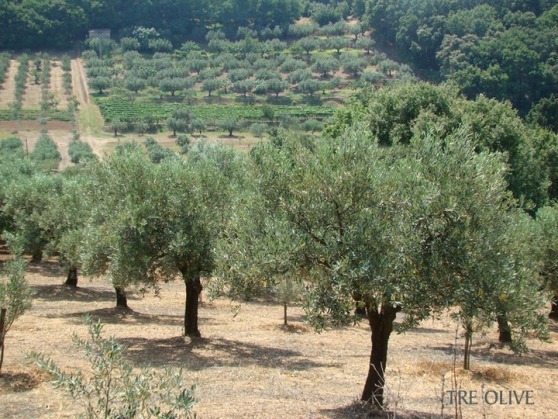 Through Tre Olive, you can adopt an olive tree from one of their family groves in Calabria Italy, and they will send you the olive oil from your tree in the spring to enjoy. You’ll receive a beautiful welcome package that includes: an adoption certificate, a photo of YOUR tree in a hard cover table tent so that it’s easily displayed, your tree is tagged with your name for the year, and an informational brochure and welcome letter from the Tre Olive family to you. You’ll then receive 3 liters of extra virgin olive oil from your tree in the spring. 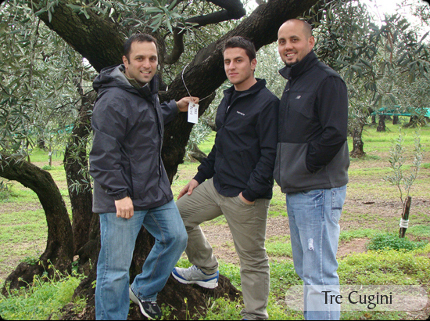 The Tre Olive family grows the olives, picks the olives and presses the olives in their mill in Calabria… so you can be sure that it’s 100% Italian and never outsourced to third parties. Imagine the look on people’s faces when they come to your home and try the olive oil from your adopted tree. 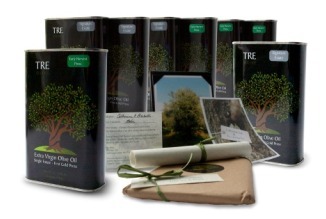 An Olive Tree Adoption also makes a perfect and unique gift for weddings, birthdays or holidays. They also offer lovely gift packages sure to please any recipient. Our personal favorite is the Family Tree box. 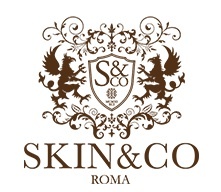 Visit their newly designed website to learn more about the family, the groves, the mill, the process of harvesting and to adopt a tree or order some Early Harvest and Signature Estate extra virgin olive oil – as well as infused oils, olive oil soap and gift packages.